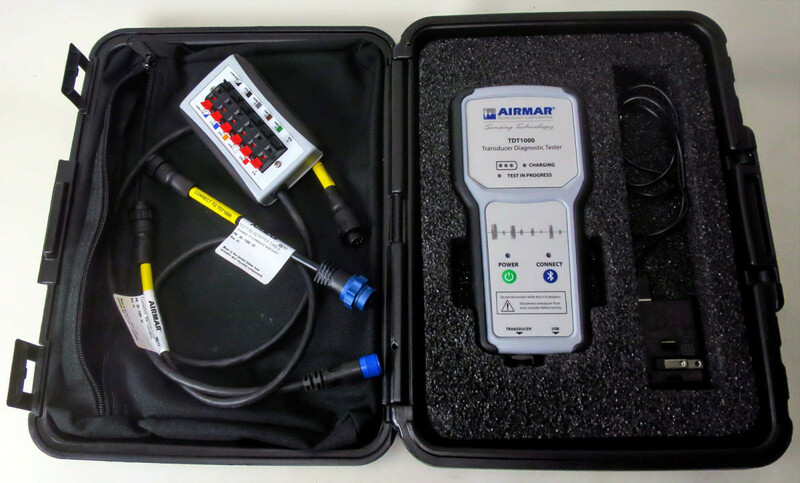 Inside the Airmar TDT1000 Transducer Tester case is the handheld diagnostic device itself, plus whichever (extra cost) patch cables a particular installer needs for the selection of transducers they install or service. Aside from the patch cables, or the (included) breakout box used with bare transducer cables, the device is wireless and battery powered with a USB charger included. 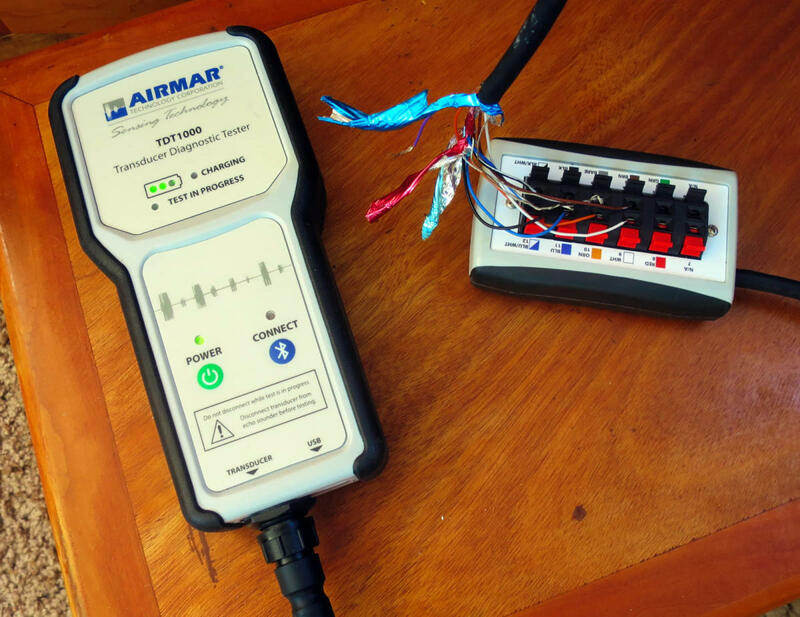 The tester hardware, however, is just one component of the TDT1000 system, with an iOS SensorCheck app (or Android SensorCheck) handling the actual testing via Bluetooth, while the phone or tablet&apos;s online connection taps into Airmar&apos;s vast database of transducer information -- including, in some cases, original factory testing of the specific unit. 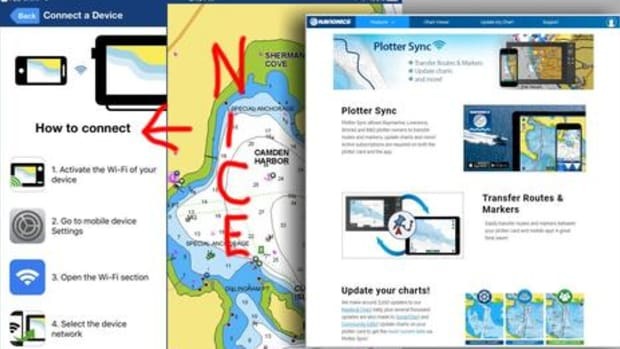 But before getting into (what I think is) interesting nitty-gritty, why should a regular boater care about a seriously expensive diagnostic tool? 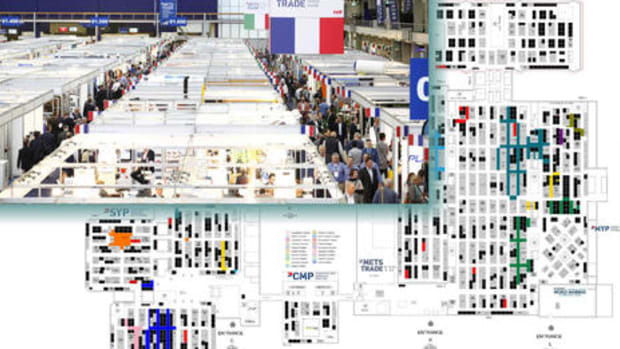 That&apos;s where the just-announced Airmar Certified Installer (ACI) program comes into play. The warranty for an Airmar transducer installed by an ACI runs for three years instead of two and starts at the installation date instead of the manufactured date. Also -- as explained for the recent Gemeco Annual Technical Training -- "ACIs are eligible for onboard service reimbursement for any transducer that is still within the warranty period, regardless of who installed it." 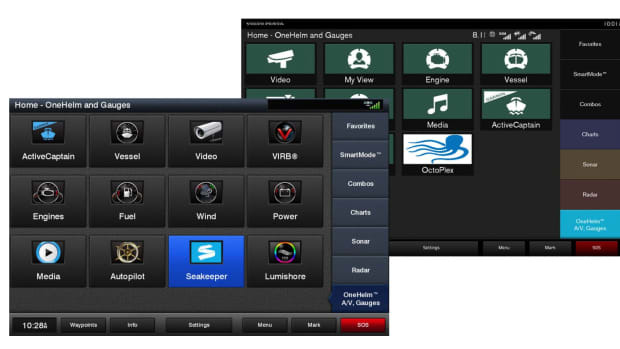 While several marine electronics manufacturers offer extended warranties as part of a certified installer program -- mainly because good installs reduce warranty claims -- Airmar&apos;s offer seems particularly attractive. 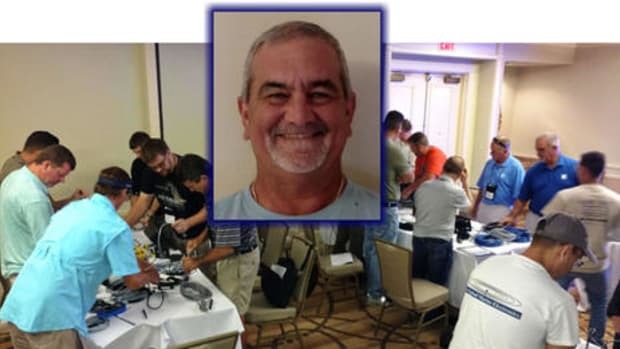 Enhanced warranties are definitely something a boat owner should consider when installing new electronics, and installers please note that nine more ACI trainings are already scheduled this year. 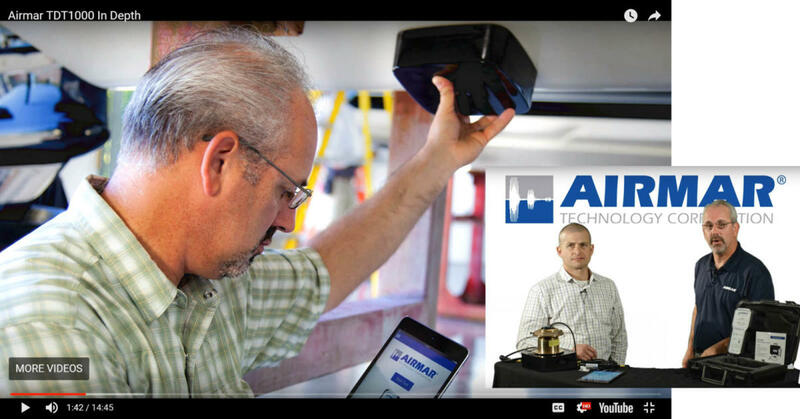 As to the transducer testing nitty gritty, a great start is this Airmar TDT1000 in-Depth video with marine program manager Joe Natalino and marketing director Craig Cushman. 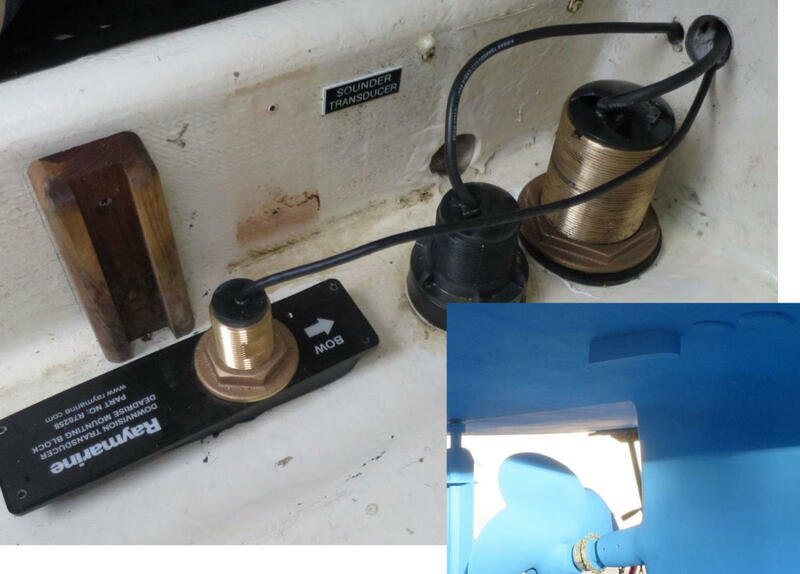 Besides a good system overview, look for some details not covered elsewhere, like that TDT tester block Cushman is holding against a boat&apos;s transducer face above. If the surfaces are wet when pressed together, the block simulates 2 meters of water and thus enables transducer testing on a hauled boat or on a loose transducer before install. Here&apos;s some more detail about the TDT1000 patch cables available, particularly interesting because it also illustrates the Mix and Match transducer and cable options Airmar has been rolling out in recent years. As you may know, a large part of Airmar&apos;s marine business is selling transducers to big brands like Furuno, Raymarine, etc., and in many cases the same model goes out the door with a different connector for each brand. But now all Airmar transducers are also available in a Mix & Match version along with M&M-to-OEM adapter cables for every compatible sonar brand (good PDF illustration here). 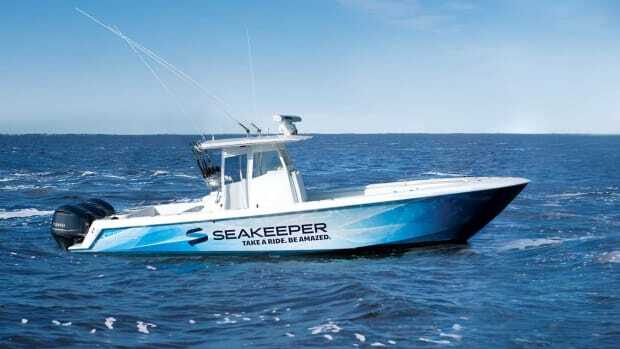 Obviously, that&apos;s a real boon to distributors in terms of inventory management, but also to boat owners who may one day switch fishfinder brands. A Mix & Match B75M would have been great for my original 2014 goal of trying the transducer with a variety of MFDs, and also would have made the recent TDT1000 connection easy, but, in fact, Gizmo&apos;s ducer is a bare cable model wired to a pigtail with a Garmin 8 pin connector, and I also have a Garmin-to-Simrad adapter cable (one of many available from Airmar subsidiary Gemeco). Apologies for getting into the weeds of Gizmo&apos;s transducer cable peculiarities, but it did end up meaning that I got to try all three ways you can set up a TDT1000 test, which will hopefully become clear as we dig into some of my SensorCheck screens. First off, I&apos;m happy to report that the tester&apos;s Bluetooth LE connection with my Samsung Note 4 Android phone or iPad Pro just worked, without manual pairing or fussiness. I also appreciated the app&apos;s ability to update the tester&apos;s firmware -- Bluetooth has really matured -- and even identify (with a flashing LED) which TDT1000 you&apos;re talking to in a shop with more than one. The "History" choice in SensorCheck&apos;s settings menu (upper-left) takes you to the list of automatically saved tests seen on the right-hand screen. Note how some tests show the B75M&apos;s model and serial number while some don&apos;t, even though all tests were on the same transducer. A mystery? Cutting to the chase, the TDT1000 is quite easy to use, and yields clear results, if the transducer has the Xducer ID feature that Airmar has been including in some models for over a decade. 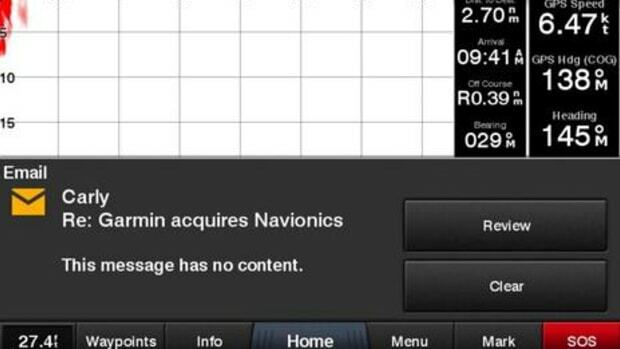 When I used the Garmin-to-TDT1000 adapter cable to test Gizmo&apos;s B75M setup, SensorCheck popped up an "xID found" notice along with the info highlighted in red above. 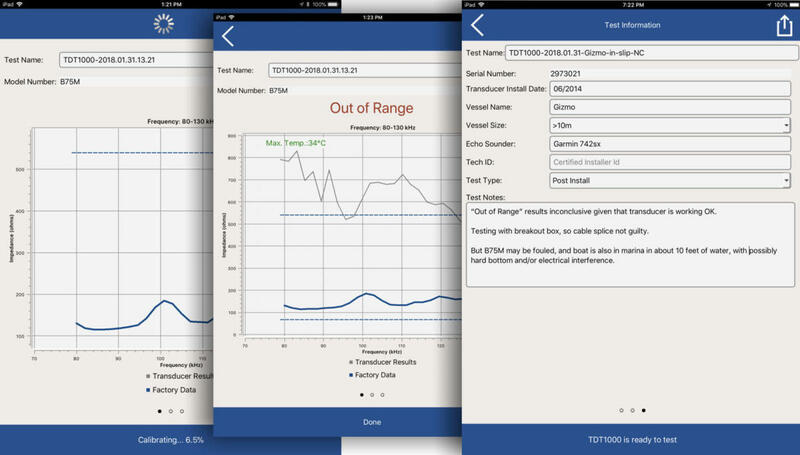 Even better than details like manfacturing date and running hours -- and shown on screens further down -- xID enabled the app to test the transducer against the exact impedance reference curve that Airmar had measured in the factory as part of the quality assurance process back in March 2014. But then I ran into an oddity: Using the Garmin-to-Simrad (2014 version) and Simrad-to-TDT1000 adapter cables, xID was not seen. I later learned that Gemeco was clipping the adapter cable&apos;s xID wire in those days -- to deal with a Simrad incompatability -- and that those days are long over. However, the oddity showed me how a TDT1000 user without an xID can turn to the "Catalog" and "User-Defined Measurements" menu items whose dialog boxes are shown at left above. 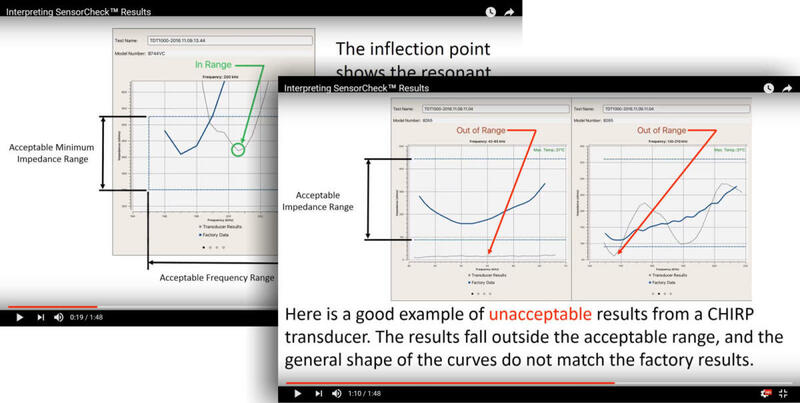 If you can find a transducer in the Airmar&apos;s data Catalog, SensorCheck will then know how to test it against a reference curve that&apos;s average for the model. Or you can design the test yourself, though advanced sonar knowledge and the ACI course are likely needed to get the specifications right and also to interpret the unreferenced results. 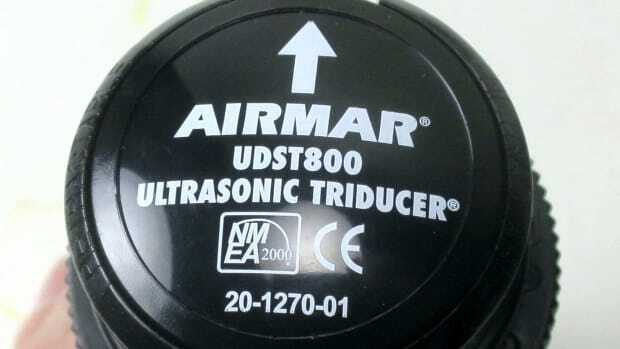 At any rate, the TDT1000 can test many different transducers, including some not made by Airmar...if, unlike me, the tester knows what they&apos;re doing. Incidentally, if you&apos;re wondering what the heck a transducer&apos;s "Q" value is, I shared some Airmar schooling in this 2008 PMY article. I also recommend Airmar&apos;s Theory of Operations PDF, where you&apos;ll learn how piezoceramic echosounding goes beyond normal electronics into precision acoustic mechanics. It also takes a lot of material engineering to create clear powerful pings and chirps, and the "china" inside high performance transducers is still more delicate than the hunky casings might suggest. But even when you add the fact that Airmar is engineer founded and owned to all this technology, the near obsessive testing illustrated above still seems remarkable. Here&apos;s another way to think of it: xID is a pretty amazing example of marine IoT years in the making. Long before most of us heard about the Internet of Things, Airmar was deep testing individual transducers, databasing the detailed results, and writing a subset to an xID chip that goes on to collect more data during the ducer&apos;s working life. 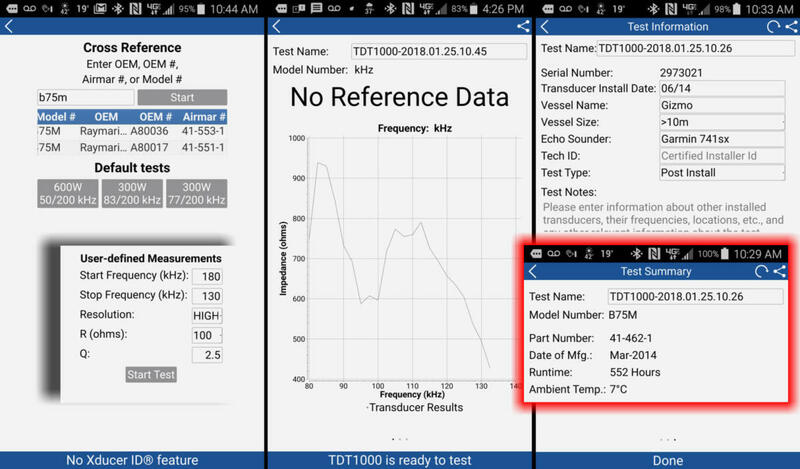 MFD developers use that xID info to optimize fishfinder performance, and I&apos;m sure it&apos;s been useful for analyzing warranty returns, but now with the TDT1000 hardware and the SensorCheck app (and technicians trained to use them) Airmar has created a connected IoT diagnostic system unlike anything else I can think of in the boating world. But I did run into another oddity in my TDT1000 testing. While the B75M Chirp transducer I installed back in May of 2016 -- inside and outside views above with more install (and uninstall) details here -- seems to work well, it tested "Out of Range" for reasons not yet clear. No, neither the nearby Raymarine CPT-120 Chirp DownVision transducernor the older 50/200 kHz were powered up during my testing (though Ray&apos;s 200/350 kHz model does not seem to interfere with the B75M 80-120 kHz range anyway). But let&apos;s look more closely at actual performance versus test expectations while theorizing about why they don&apos;t seem to match. 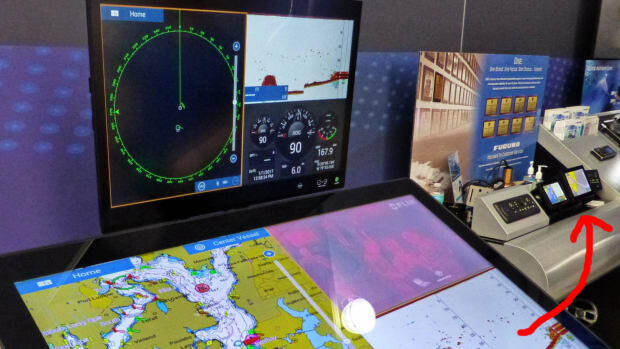 Here are Simrad NSS evo2 and Garmin 7612 fishfinder screens showing the B75M working in both Chirp and single frequency modes. At upper left the 600 Watt transducer was holding bottom at 338 feet (and deeper) as Gizmocrossed the Gulf of Maine last fall. 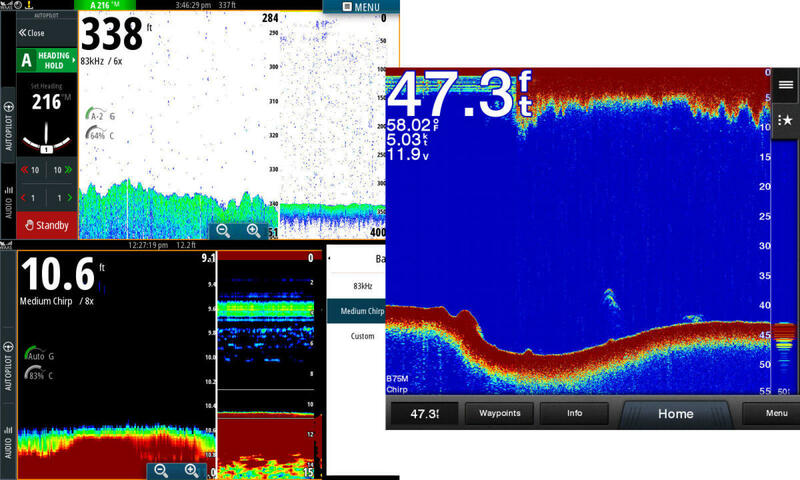 It probably would have detailed that deep bottom better in Chirp mode, like the Garmin is doing in shallower Maine water at right, but I should also note my lack of expertise at fishfinder adjustments. 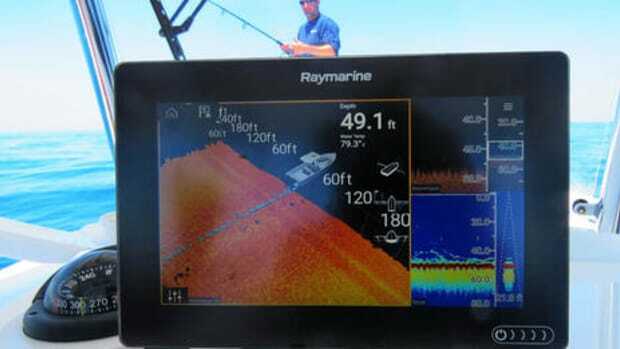 Check out this Simrad sonar video from down under to see what I mean. If I fished more, and it&apos;s getting tempting in southern waters, I&apos;d be better able to distinguish high quality transducer performance. But those screens aren&apos;t bad, right? And note that the lower left image was taken in Gizmo&apos;sNew Bern slip just before the TDT1000 testing. Airmar&apos;s B75M product page leads to a Technical Data PDF that fully lists the Catalog info that SensorCheck partially references. 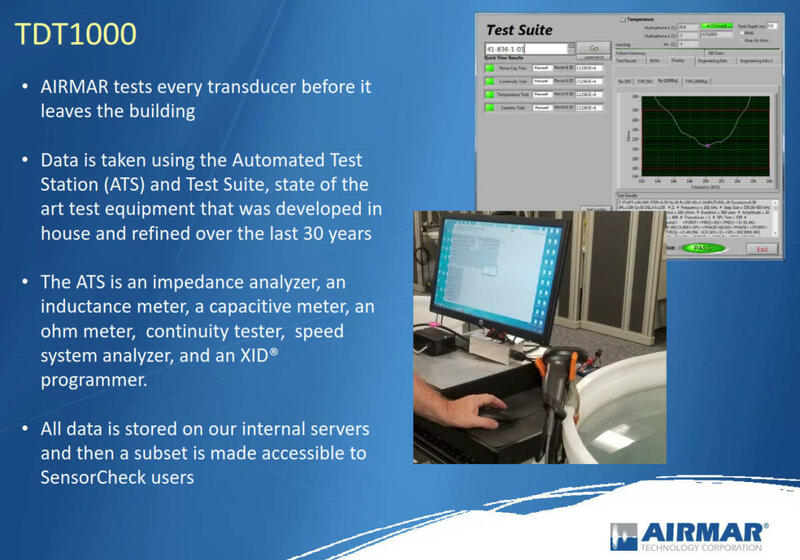 Here&apos;s where you can see how many transducer performance factors Airmar can and does quantify in its lab testing. 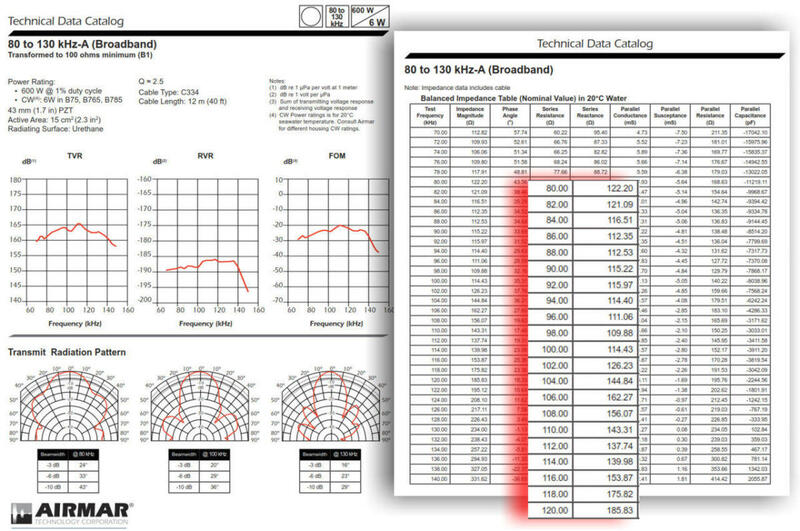 By contrast, the frequency/impedance curve I highlighted in red is just about all that the TDT1000 can test. While the impedance curve is apparently quite telling about a transducer&apos;s health, there&apos;s obviously much more to the story. When my TDT1000 tests using the Garmin and Simrad connectors surprisingly indicated an ill B75M -- especially the Garmin one with xID reference info -- a possible culprit was my 2014 cable splice. So I took it apart and tried the alternate breakout box. In this realtime testing photo it&apos;s worth noting again how independent the system is in terms of boat power and electronics. Tester, transducer, and app device was all it took, though the transducer has to be able to see real (or simulated) bottom without interference (possibly my problem). I used SensorCheck on an iPad for this test, and I recommend clicking the above screen collage bigger for some details. In the first screen, xID has found the blue impedance reference curve for this particular B75M, and if you check it against the Catalog&apos;s overall model impedance table above, you&apos;ll see it&apos;s close but not exactly the same. The bottom of the first screen shows that the TDT1000 was 6.5% into its calibration and test routine, and soon it was drawing the green results line in screen two. So, yes, the bare wire B75M still tested "Out of Range," but at least the "Max. Temp" value of 34° is green indicating that the transducer has never been overheated by, say, running in boatyard air instead of water (xID logs that value too). 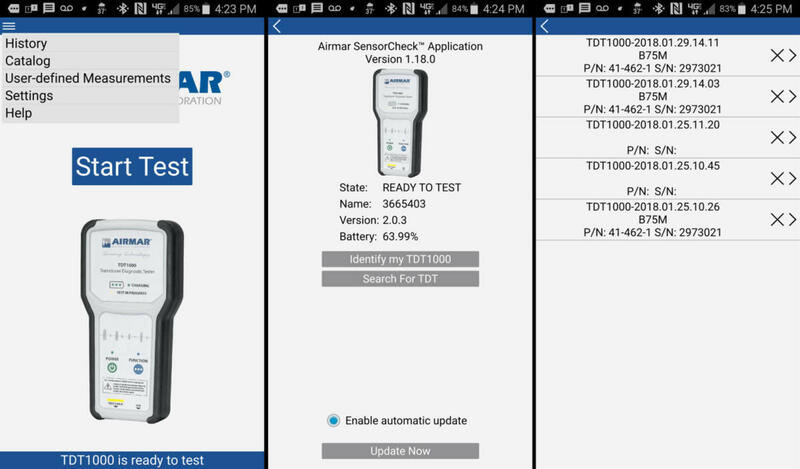 The final screen shows extra data a SensorCheck user can store with a TDT1000 test, and my Notes include some guidance from Airmar&apos;s Joe Natalino. The "inconclusive" testing might be due to a fouled transducer face (quite possible) or a marina slip anomaly either structural or electrical. I gather that my results were pretty unusual, though certain mismatches with the reference data are tolerable, as explained in the TDT1000 Interpreting Your Results video, screenshots below. I do wish I had had time to get Gizmo underway as Airmar advised, and I&apos;ve returned the tester, but maybe one day I can get a real Airmar Certified Installer to check the B75M in better circumstances. It would also be great to hear from boat owners or installers about their TDT1000 experiences, and those ranks should rapidly expand as the ACI program rolls out.